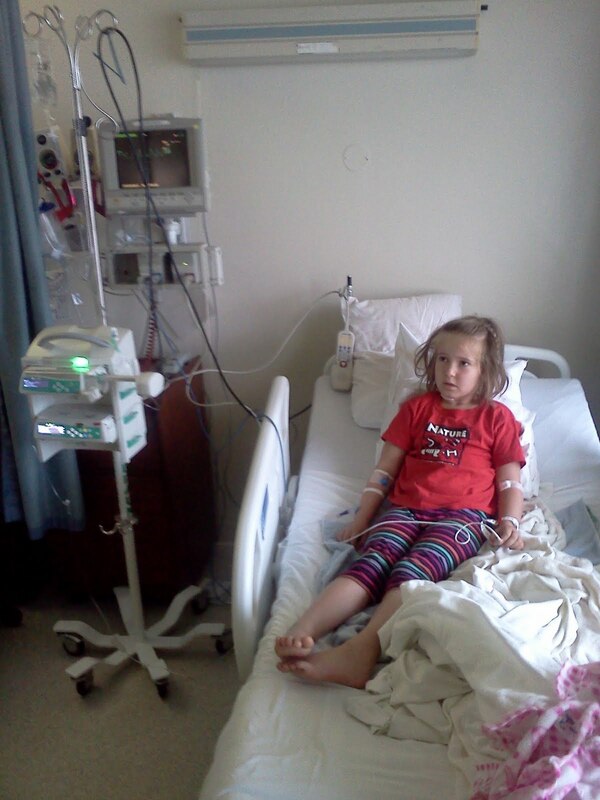 The other big event of the 4th of July weekend was Vera's first stay in the hospital. The most important part of this whole story is that Vera is doing great and her wound has almost healed completely. On Saturday night, July 2, Vera was walking/running by our neighbors yard and tripped over one of their decorative garden lights. It had a small spike on top which went into her throat. At the time, we thought she had merely scratched her throat, but after a CT and overnight stay in the hospital, we realized how lucky our little lady got. Although it basically stabbed her, it missed both major arteries in the neck and just slightly pierced the airway. 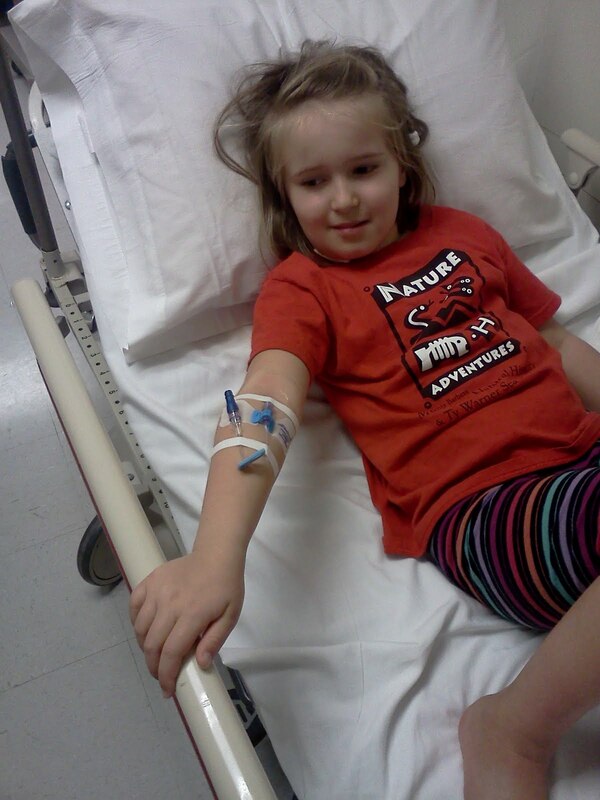 Most of these were taken when J thought that a few stitches and some Tylenol were all that Vera needed. 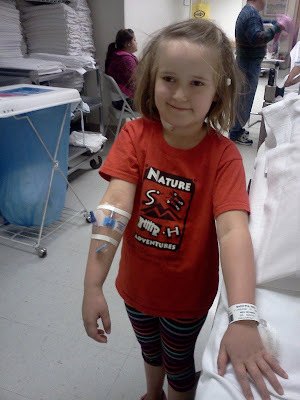 No complaints as an IV was put in her arm and her blood was drawn. The nurses and staff at the hospital were amazing during Vera's stay. Also, they had a blanket and two stuffed animals for her when she woke up in the morning. She was checked into her room at midnight and was sound asleep. Our ER/hospital visit for the next 20 years = check! Now, both children are required to stay safe and out of danger.